I wasn’t even going to write a restaurant review this week. I had a whole other topic scheduled, but it got bumped. 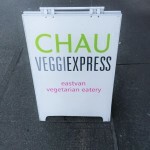 I ate at Chau Veggie Express on Sunday and I’ve been thinking about it ever since. I couldn’t wait to write this post, share my photos, and rave about this incredible vegetarian restaurant in Vancouver BC. Coming off of two days of underwhelming conference food during a recent Canadian adventure, I suppose I was primed and ready for some vegetables and satisfying grub that was well-crafted, healthy, and colorful. And I was intrigued that they had taro on the menu. (I mean…taro! Come on. When was the last time you saw this starchy stem offered in a restaurant?) But based on the rave reviews online, these weren’t the only reasons I was dazzled by this place. What really got me to navigate off my desired route home to Bellingham was their menu. If you’re looking at it online or in the restaurant, visually, it’s the best menu I’ve ever seen. It’s simply an overhead shot of every item they serve; so clever. Food photographers say a good photo makes you want to eat the food. 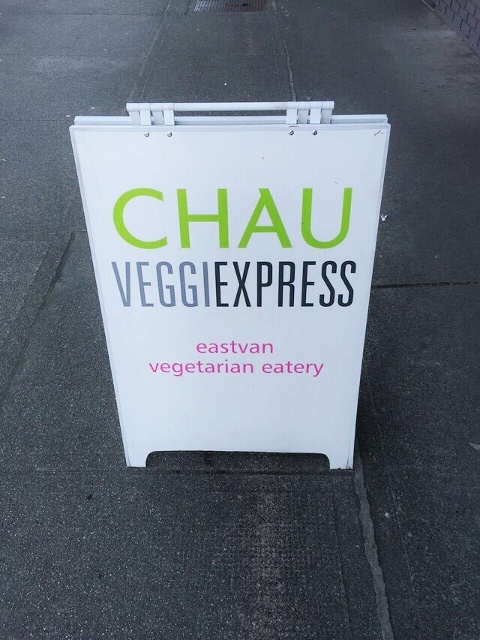 Chau Veggie Express’ menu made me want to navigate without my GPS in a foreign country (cursed international data charges!) by myself just to eat some potentially compelling vegan Vietnamese. Happily, reality matched my expectations after viewing their menu online, anticipating, ordering, and tasting. I started with the Namaste Rolls. 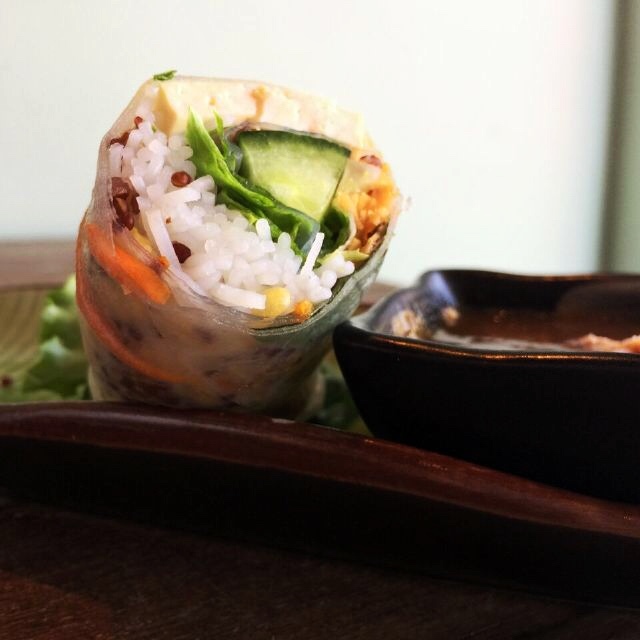 Fresh rice paper rolls, quinoa, mung bean, fried shallots, steamed lemongrass tofu, Thai basil, green leaf lettuce, crispy wheat centre, and thin rice vermicelli noodles with roasted peanut sauce. Fantastic. So fresh. Buried in there was a wonderful crunchy element that gave some of the appeal of a deep fried spring roll, but just a hint. And I got some bonus cucumber rolled up in there as well for even more crunchity crunch. The combination was delightful. The standout, though, was the roasted peanut sauce. It was unlike any other peanut sauce I’ve had. It was more savory and salty instead of sweet, rich, and creamy; almost like a peanut vinaigrette with a little sweetness. I ate quite a bit of it straight off a spoon under the guise of trying to discern the ingredients. The result? I still have no idea how they made it. Next up was the Jungle Power Salad. The bowl was gargantuan. I mean…look how tiny the regular-sized fork looks next to my bowl. Man, I wanted to take that bowl home. Think of all the Homemade Holy Crap Cereal I could put in that thing. 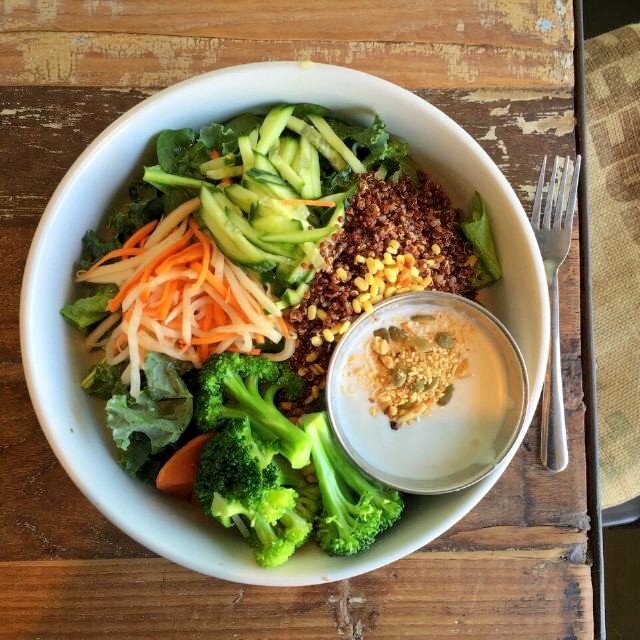 Quinoa, spinach, kale, green leaf lettuce, cucumber, mint, Thai basil, steamed seasonal vegetables, toasted coconut cream and citrus dressing, sunflower and sesame seeds, roasted peanuts. Hey wait…did I forget to order something with taro? The varying temperatures of the ingredients were so pleasant. The sauce was warm, as well as the perfectly steamed veggies, but the rest was cold like a salad. It kind of reminded me of a vermicelli bowl, but more hearty somehow. Mysteriously, the toasted coconut sauce was white not brown, but it was tropical and unique. And they included large uncut mint and Thai basil leaves as part of the greens, which was pretty and added a ton of flavor. I felt like lime juice was present somewhere…maybe the citrus in the coconut sauce? The carrots and daikon radish were tossed in sweet vinegar (which I later determined must be a pickle), and were spectacularly good. 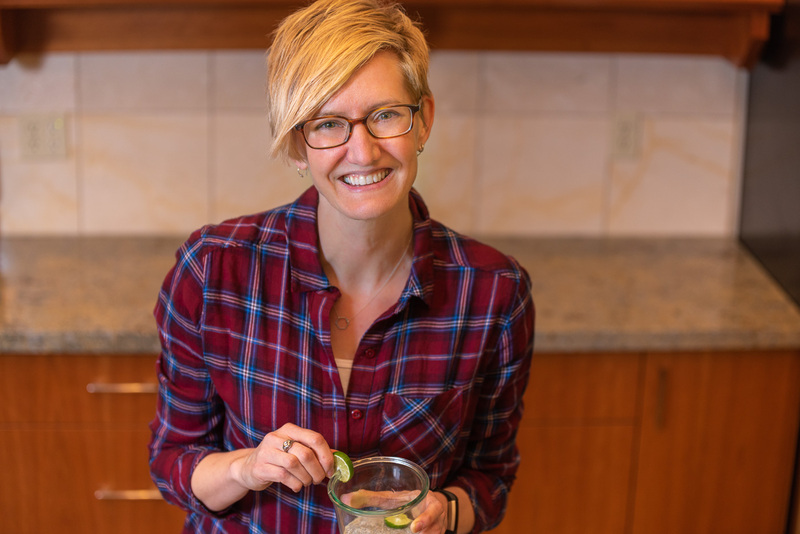 Actually the pickling liquid kind of pooled in the bottom of my mammoth bowl and I kept dipping down to get some because it was such a nice acidic complement to the creamy coconut sauce. And again with the radish! Last year I would have told you I don’t eat radishes. I don’t. But they keep showing up and I keep trying them and liking them. I do. Go figure. At one point in my life I was also afraid of sauces, sometime in the late 1980s. I wanted everything dry: milk-less cereal, dressing-less salad, sauce-less noodles, salsa-less chips. What a weirdo. Thankfully, I’ve evolved. After meals like this one where the sauces are my favorite thing, I can’t fathom eating uninteresting and unwet food like that anymore. After oohing and ahhing over every bite of this meal I realized this is how I’d like to eat all the time…a fresh mix of flavors and textures and colors and temperatures that also just happens to be good for you. I was so inspired that I tried making it at home the next day. I julienned and jarred my own (subpar) Vietnamese pickle, put the rest of the key ingredients in a (subpar) bowl, and then added mango. I even smuggled a few ounces of the unbelievable coconut sauce across the border. Alas, my recreation was good, but not a perfect match. Guess I have no choice but to return to my new favorite Vancouver hangout and let the experts do it. And next time I’m getting taro. Do you ever find yourself craving vegetables? Fresh fare? If so, where do your taste buds take you? I am not a vegetarian but I do find myself gravitating toward cleaner foods and more veggies when I eat out now. That stuff looks good. I bookmarked the site and might check it out the next time I am in Vancouver. Thanks. Hi Jessica. I’d love to know what you think if you end up eating at Chau. Have a great weekend!